Join 270,000+ users and stay up to date on the latest articles your peers are reading. What is the CCPA and what does HR need to know? Is Commuting the Next Health Care? There isn’t really a formula for effective internal communications. You might try following some best practices , but even the most seasoned communications professional is prone to mistakes which could reverberate across their organization. High turnover is a major concern for many organizations. In 2018, over 40 million people quit their jobs in the US compared to just 30 million in 2014. But how do you know if your turnover really is an issue? And if it is, how do you focus your efforts to improve? No matter your industry, it's crucial that you stay up to date on the current compensation trends. The PayScale Index will let you do just that - it tracks quarterly changes in total cash compensation for full-time, private industry employees in 19 job categories. Get the report today, and start taking advantage of these crucial insights. Have you ever read “The Ethicist" column in the New York Times Magazine ? It's a popular weekly column where readers send in their quandaries in the hopes of getting clear answers on how to act ethically. The gender pay gap has garnered a lot of discussion in the past few years due to the shocking statistics behind it and the recent monumental women’s movements such as #MeToo. 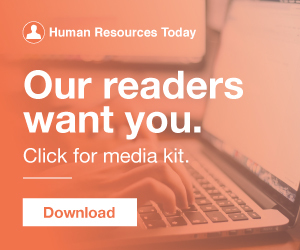 Human Resources Today brings together the best content for HR professionals from the widest variety of industry thought leaders. The reward for enterprises that embrace digital transformation is higher than ever before. Constellation Research found that in digitally transformed industries, leading companies are taking 70 percent of the revenue and over 77 percent of profit. How healthy is your company culture? Company culture can be one of those “soft” terms that people use a lot without fully understanding it means. Two new DOL-proposed rules will affect employers. In the last week, the U.S. Department of Labor (DOL) Wage and Hour Division has proposed two new rules affecting different employer regulation areas, which have not been meaningfully revised for more than 50 years. Some people believe a micromanaging boss is the worst thing ever, but I'd have to say that a boss who doesn't communicate what he or she wants is also pretty bad. This is the boss who can't exactly tell you what he wants. Do you want to automate your HR processes, but don’t know where to start? In this eBook, PeopleDoc explores which processes benefit the most from automation, and how an HR Service Delivery platform can help get things off the ground. One of the hottest topics in the business world these days is focusing on purpose as a key business driver. Purpose allows an organization to make company values public and to differentiate itself to both customers and employees. Staying compliant in your hiring process starts with a rock-solid background check process. Having a consistent program that documents compliance policies and mitigates risk is a necessity in today’s fast-paced hiring landscape. Join Curt Schwall, Vice President of Compliance and Regulatory Affairs at EBI, and learn what it takes to run a top-notch background check program that ensures you stay compliant. 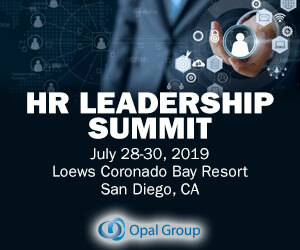 I just finished a week of meetings discussing HR Technology and the Employee Experience and I want to give you some thoughts. This topic is enormously important, and it’s actually harder than it looks. Why This Topic Has Become So Big. As any successful business owner will tell you, employees are the lifeblood of a company. When they’re disgruntled or apathetic, they clog the arteries of your operations. But keep your employees happy and engaged, and they’ll help your business flow smoothly. 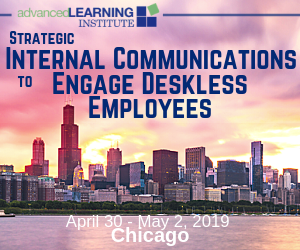 The good news: The heart of employee engagement is easy and inexpensive to roll out, yet impacts revenue, retention, and absenteeism in droves. Ready for it? It’s simple appreciation. While your employee handbook should receive a regularly-scheduled review to ensure compliance with state and federal law, there are some events that may require additional policies or updates to be added to your employee handbook sooner than your next scheduled update. With more collaborative company cultures, and more technology to help get the job done - the way we collaborate on teams is changing. Employees and businesses focus on health care as the No. 1 benefit in any benefits package. But a new trend is making people rethink a lot of things about jobs and benefits: Longer commutes. It’s making some people wonder if commuting is the next health care in terms of how it impacts the job market. While the business landscape can be challenging no matter the industry, there are plenty of benefits of being a start-up company in today’s marketplace. As we approach 2019, major shifts in the work environment will continue to affect the ways companies do business. Companies that are looking to attract, engage, and retain top talent should leverage these trends to create workplaces where employees thrive. Feedback-driven, best practices recruiting programs are relatively new, yet the potential for transformational change is huge. The California Consumer Privacy Act (CCPA), intended to protect the privacy of California residents, is having a ripple effect across the United States. Artificial intelligence (AI) and machine learning (ML) technologies are rapidly changing the way many recruit and hire talent. Read Dice's first-ever Recruitment Automation Report to discover how you can employ new, cutting-edge technologies to source and hire tech talent faster.